My monthly auto-ship order came two days ago, and I'm still so excited to have such a wonderful stash of oils in my home! I'd like to share a little about what I ordered, but more importantly, I want to share my vision for health, wellness, and abundance. Young Living is about all three and I believe God has a desire for me to be healthy, well, and to live an abundant life. It was a fun to see that I ended up with a all the colors of the rainbow. It was an unplanned blessing. Back row from left to right: Vetiver and Treasure of the Season (free with my 300PV order), Frereana Frankincense, EndoFlex, Melrose, Orange, Citrus Fresh, Lemon, Relieve It, Peace & Calming, PanAway, Sacred Mountain, Valor, Clove, and Cedarwood. I bought the gift collections so that I could give a few of the oils as gifts and get my hands on some oils I've been wanting to try. It was a happy mail day! That's me with two of my favorite oils (though I have many favorites). These are especially important for me personally to keep my health and energy levels up so that I can fulfill all of my roles as a wife, mom, teacher, and home keeper! 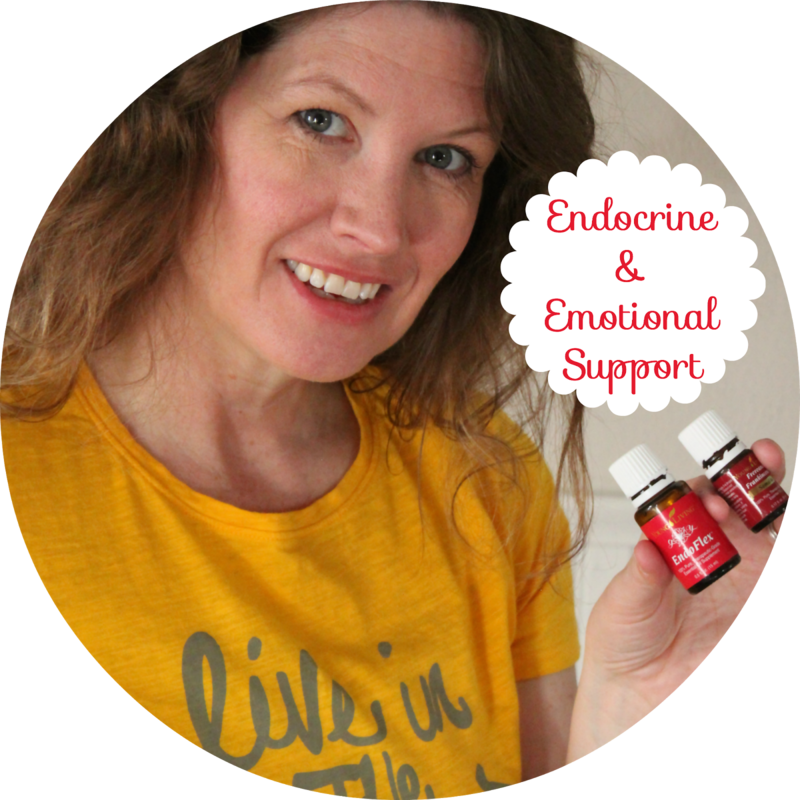 EndoFlex is important to my thyroid and adrenal health and Frankincense is important to my emotional health and more. I am not only living a healthier life, and our family is staying well and able to fight off sickness with immune boosting oils, but I am also more emotionally grounded with Frankincense. A happy mom means happy kids! What I love about Young Living, besides the fact that I believe in the quality of their oils and love EOs, is that the business is all about helping people. It's about health, wellness, and abundance. So, I am sooo excited about the business side of the oils. I never imagined I would be. I joined to get my oils at wholesale prices. But, the thought of earning free oils and getting my oils paid for really appealed to me. . . and I'm doing just that. I was able to get my oils paid for my first month of trying and had a lot of fun doing it! To see how I did this, see my post Essential Oils for the Homeschool & How to Get Them. If I didn't have such successful leaders guiding me through this process, I don't think I would have been motivated or encouraged. But, I am, and I'm excited to be growing. I am following in the footsteps of my leader, who is following in the footsteps of her leader, who is following in the footsteps of her leader, who is a Crown Diamond. All this means that I have really successful leaders! And part of being successful is helping your team members grow. I won't say that I don't work ~ I work hard, but it's fun work! Much of it is stretching me and pushing me outside of my comfort zone, but it is also growing me in areas that I know God wants me to grow in (like getting over my fear of putting myself out there and fear of rejection). I knew the oils would improve our health, but I never imagined that God would use Young Living to grow me and to bless us financially, so it's such a wonderful surprise. I love how creative our God is! I recently learned that the first step to living an abundant life is to dream big. My husband is a dreamer and it has always driven me crazy! I'm so realistic and practical. I'm a doer. I don't dream something that I can't set my sights on doing. But a wise man once said, "You'll never live life beyond your wildest expectations until you first have some wild expectations." I do have a burning desire and dreams are the fuel that provide the sheer will power that allow you to say, "I can, I will, and I must" to fulfill that desire, according to Matt Morris. "When you don't pursue your dreams, a little part of you dies inside. Going after your dreams gives you energy. It gives you life. It gives you fulfillment. And the most widely recognized definition of success is the progressive realizations of a worthwhile dream. So what that tells me is that true success comes not from the end result but from the pursuit of your dreams. So begin to dream again." I think that's why I love Five in a Row so much. Planning for a new row is like dreaming of our dream homeschool and for one week at a time, we get to live that dream. I've never let myself dream big. In fact, I'm so practical and realistic that for the longest time I wouldn't Pin anything to Pinterest unless I thought I would actually do it. So I started a Pinterest Board titled "In My Wildest Dreams." So far it has reading nooks and hallways lined with book shelves! But, beginning to dream again feels good! 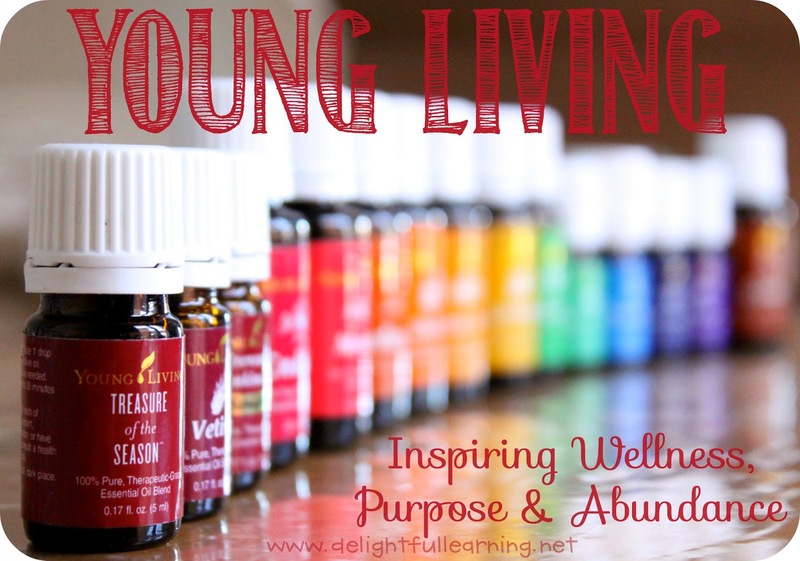 And Young Living is why I am dreaming again. Who wants to dream with me? Me! I'm dreaming with you ❤️! Love all the pictures and especially your heart being open to a little adventure. So excited for you! That is a FUN order!